Things are on the up for what is arguably the world's biggest publisher of video games. Activision has reported its full-year earnings for 2015, and results show a slight increase in sales, operating income and net income. Revenues hit $4.6 billion, which is up from the $4.4 billion registered in 2014. Operating income was up from $1.1 billion to $1.3 billion, while net income saw a slight jump from $835 million to $892 million. 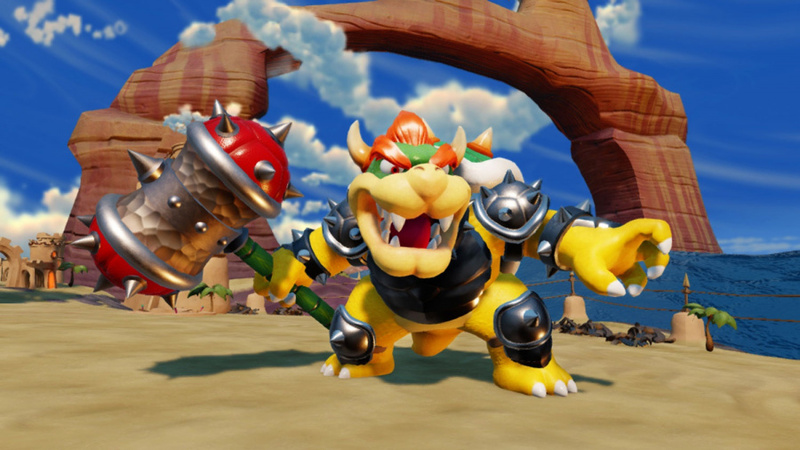 Activision Publishing's casual titles, namely Q3 release Skylanders SuperChargers and Q4 release Guitar Hero Live, performed weaker than expected, we believe largely due to greater competition in the toys to life genre and due to the casual audience's shift to mobile devices. "Greater competition" or course refers to LEGO Dimensions, which, according to MCV, was the big winner in the UK Toys To Life sector, and we're assuming performed just as well in North America. Activision was once the king of this arena, but now has to share it not only with LEGO, but Disney Infinity and Nintendo's best-selling amiibo, too. Worryingly, Activision also warned that it expected further declines in 2016 for Skylanders and Call of Duty - the former is easy to understand given 2015's figures but the latter is puzzling, as Call of Duty: Black Ops III was one of last year's most commercially successful games. I haven't been looking a lot lately, but I just started seeing the Bowser & DK skylander/amiibos sets. I almost never sell the Guitar Hero WiiU version in my Best Buy, and I notice that both Activision games mentioned, sell slowly across the board anyway. As for the Lego stuff, it probably sells well because, much like Amiibo, you can buy the figure sets and not have the game, and it doesn't really matter. Plenty buy the Back to the Future or Simpsons stuff and tell me they don't have the game and don't care. It's understandable for Guitar Hero since most people can play the older versions with custom songs and there's also Rock Band. The genre is not as popular as it was back then too. For Skylanders probably the amiibos and Disney infinity figures shot them down with the new Star Wars, Pixar and Marvel figures added in 3.0. For Call of Duty I don't really know what is the reason, maybe fans of it changed of series. I think it's because of Disney Infinity figures' popularity. I predict the LEGO ones will see a decline in two years. As soon as Skylanders was seen to be popular and profitable other companies would join it wanting a slice of the cake. Kids who buy these toys (or have them bought) don't suddenly have more money to spend when new toys come out. They move on to what's new. These toys are 'fads' and in a very short time will fade away. The Amiibos will have a very short life span, maybe a couple of years and the kids will move on to something else. The big thing last year was loom bands, now shops can't get rid of them. For the last year the Amiibos have taken over from the games. We have had a very poor selection of Nintendo games, can the same be said about Activision. Well it would make sense that actual toys would cut into other "statues to life" products, particularly as those toys are LEGO. 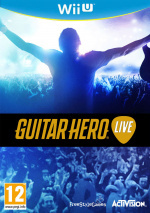 GH Live having disappointing sales makes sense because of Rock Band as well as Activision's choice to abandon the 5 button guitars in favour of the new 2x3 ones. Also the setlist is pretty weak to anyone who is a fan of music from before 2000. As for Skylanders. While it's easy to point the blame to Disney Infinity and Lego Dimensions (which is part of reason), I also think being included in the Nintendo E3 Digital Event was a huge factor. Sure, most of the event was bad due to very few good new reveals but you can almost certainly agree that the first sign of the event being bad was Reggie mentioning NX followed by the Skylanders portion. Skylanders is a great game but it completely lacks the star power of the other three toys to life sets, I do think it'll be the first to fold. My best guess would be the overall price point. Both games need expensive peripherals and you could say that Nintendos core demographic isnt the one spending obscene amounts of money on games. If you look at other consoles, where "digital collectors editions" sell for 100+ bucks, consoles almost cost twice as much as the WiiU etc, it might just not be the right market for it. As for skylanders in particular: Oversaturation and strong competitors. Also, Skylanders lacks one benefit every other "Toys to Life" brand has: Its either Nostalgia, Fandom or multi purpose. LEGOs are arguably the best stand alone toy, Amiibos have more nostalgic value + multi game purpose and Disnay figurs are both nostalgic and have a huge fandom behind their backs. Weren't there a rumour about Hasbro making TtL to? The market is getting really competetive. @Grumblevolcano seeing as skylanders under preformed on all formats I doubt its because they was part of Nintendo's E3. Even taking out the fact Skylanders now faces massive brands with recognisable characters and a buttload of nostalgia. The problem was nobody was thrilled with the vehicle concept to begin with and in practice the actual vehicle mechanics in game was just lack luster. Bought GH Live a week ago because I wasn't quite ready to buy a PS4 yet, my Wii U couldn't read the disc. Got a different one to make sure it was the drive. Took it back and picked up a PS4 and Rock Band for my music game fix. Better deal too. Downloading over 350 legacy songs over starting over, not to mention GH no longer having a traditional DLC model pretty much kills it for me. Was interested in GH's 2x3 button layout though. @abe_hikura It's locking exclusive content for a multiplatform game behind a Nintendo console though. That is like the #1 thing not to do if you want it to succeed. On the other hand, locking exclusive content behind a Sony or Microsoft console is fine for its chance of success. I bought Skylanders Giants... with my Wii bundle. That's all the Skylanders I need! @abe_hikura Yeah, I know exactly what you mean with collectors buying all the versions; it would have been much easier to wait for the character pack released a few weeks ago! I also have large hands and even playing on easy is annoying. I have an easier time hitting the other row of buttons and Im not about to switch hands. The new Skylanders wasn't quite right. We owned about 100 of the toys before Superchargers - about 25 per year - but picked up only 8 or 10 this year. And I keep looking but there aren't any more me want. A couple of vehicles are ok, but the lack of personality that the actual past characters had. So it isn't the competition, it isn't that the fad is over, it's simply that this year's batch of toys was lackluster. Of course competition was a factor - not amiibo, nobody cares, store are full of unsold AC amiibo - but Star Wars is a genuine phenomemom, like Pokemon, but with a much larger audience b/c people don't age out of them; and Lego Dimensions sold probably way more toy packs than the game - we own both Dr. Who packs but no game yet, waiting on a PS4 as I'm very worried Wii U won't get future DLC for the game. So competition hurt, but not as much as the Skylander designs, if the designs were good like the last couple of years - Swap and Trap - Skylanders still would have sold well. I do think having this one bad year though will hurt Skylanders going forward, too much competition, but 5 yearly releases and billions of $ is a great run. I don't think it's a fad though, it's the future of gaming. I don't ever envision a future where games don't have NFC toys, smartphones having readers almost guarantees their survival. So many properties lend themselves to it as well - DragonBall, Godzilla, TMNT, Transformers - just off the top of my head. @MarinoKadame Next Call of duty is the maker of Ghost; is it Sledgehammer? The developer of BopsIII is the most popular COD. Ghost is probably the least popular modern COD. @rjejr I think not just Star Wars but the existence of the new trilogy as well as the release of episode 7 last year. The last main Star Wars film was in 2005 so put a 10 year gap and you get the same reaction as if Nintendo announced a brand new F-Zero game at E3 this year but with a much bigger fanbase. @don_solo No, it's Infinity Ward who also made the extremely popular Modern Warfare games. Sledgehammer is Advanced Warfare. I would've bought Guitar Hero if we could've used our old instruments; including drums. @Grumblevolcano @marinokadne Thks. Yes it's Infinity ward. Activision accountants only think short terminisim. So there last game was Ghost. So there expectations will be lower. @Splatburst I agree they will probably decline, but only because Lego will be releasing less sets. I don't know how many they have out now, but I have them all, and I've pre-ordered the March and May waves of them. And I will keep buying every set that comes out, but if there aren't a lot of new sets; then there is less for me to buy. I still find it amazing how well Lego Dimensions sells given the price. Nintendo need to drop K'nex and get something started with Lego again. I don't think is really hard to see why they are seeing declines with CoD. It sold very well but it reached a saturation point and it starts to reflect in sales slowing down. With skylanders and Guitar hero....Skylanders started to slow down and be overshadowed by Disney Infinity since 2013 and nobody asked or cared for a newGH. Simply as that. They always "blame" "mobiles" which is pretty stupid. Smartphones are not game consoles. They are pocket PCs and games are jsut an extra. Nobody buys a cellphone or a tablet for gaming. That's far from reality. I thought we were beyond that old and tired excuse. The only Skylanders I've ever owned were the first game (just for a figurine of "Spyro") and SwapTeam or whatever the third one was called. The thing with Skylanders for me is that they are original characters so having their figurines really doesn't appeal to me. With DI and Amiibo, I know who all these characters are and thereby, view them more as merchandise than anything else. I get to have figurines of characters I've liked for years and that's what's appealing to me and just makes Skylanders and Lego Dimensions so uninteresting to me. @zool "For the last year the Amiibos have taken over from the games. We have had a very poor selection of Nintendo games..."
That's a very controversial statement, and I'd say a lot of Nintendo fans would argue Nintendo still had a strong game library for 2015 with the likes of Splatoon and Super Mario Maker. However, I would have to agree with your statement. 2015 was, in my opinion, a pretty pitiful year in terms of new games, from the half-baked Ultra Smash to the gimmicky AC: amiibo Festival. The trend looks to be continuing this year, with the majority of games (Paper Jam, Twilight Princess HD, Hyrule Warriors Legends) porting or re-using assets from existing games. I don't think it's necessarily the amiibo to blame, though. I think this may be Nintendo's way of trying to phase out the Wii U (and possibly 3DS) as they devote extra time and resources into ensuring the NX has a strong launch lineup. Also, I would imagine Iwata's unfortunate sickness and passing may have really haulted production. So I don't think it was so much amiibo themselves affecting Nintendo's game production as it was the above circumstances, although I did find myself buying significantly more on amiibo last year than I did games, I would say, with amiibo sales undoubtedly accounting for a decent portion of Nintendo's yearly revenue. @Not_Soos The year before a new console release is ofter sparse game wise, but a few games for this year could have been planned for. That aside, Lego, Skylanders and Disney toys are used on specific games, whereas Amiibo's have taken over Nintendo games. A small selection of Amiibo based games would be fine. Amiibo's not related to games, but just for collectors is also fine. But Nintendo have gone overboard and even the smaller developers see the £¥$€ signs and are joining in. Nintendo are splitting their gamers with the Amiibo's being part of every game. I may have considered Zelda TP if there was extra content and a reasonable price tag, but the Amiibo rumours about them opening the extra content and the as new price tag has put me off. Maybe the rumour is not true but it has done the damage and I have lost interest in the game. So Amiibo's can have a negitive effect on some gamers. @zool Rumors? It's been officially confirmed by Nintendo how amiibo will work in TP. The Wolf Link amiibo unlocks the Cave of Shadows, which is basically just a "Pit of 100 Trials" sort of challenge where you fight waves of enemies and descend to the bottom floor while trying not to die. The Link and Zelda amiibo just refill your arrows and hearts respectively, but I believe can only be used once a day. The Ganondorf amiibo doubles the damage you take, making for a tougher challenge. If you don't have any amiibo, you're really not missing any substantial content. If you live in the US, the Wolf Link amiibo comes bundled with the game at no extra charge anyways. @Not_Soos Not so in the UK. It's a few £ more for the game and the toy. But the game without the toy is priced at £39.99 ($58). The price of an all new game. The Wii version new is £18 ($26). So we are paying over 100% more to play the old game with HD graphics. And if Amiibo collectors want all four toys they will be paying well over £100 ($149) for game and toys. So by giving an old game a facelift it creates a whole new revenue stream for Nintendo. But I guess while a small proportion of the 10,000,000 Wii U owners are happy to pay out for old games and toys it leaves the other gamers somewhat disillusioned with Nintendo.